Ready to put social media to work for your small business? 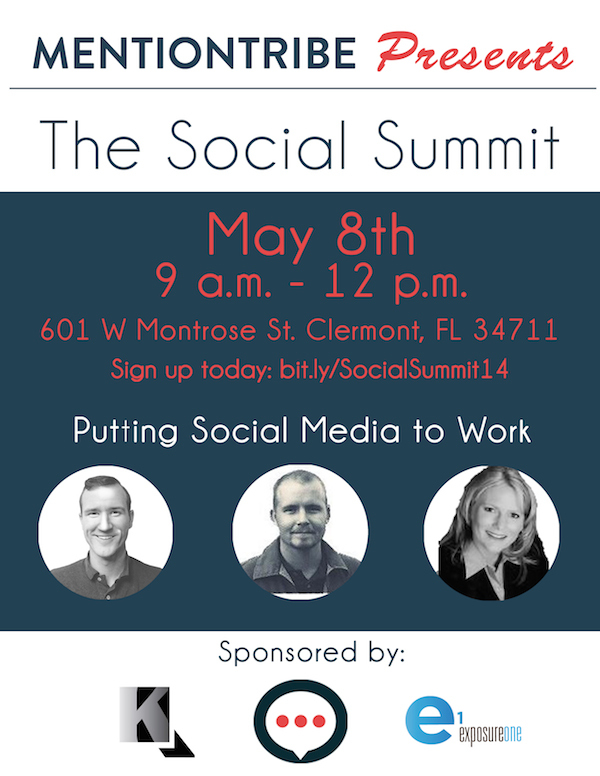 Join us for the Social Summit 2014 in Downtown Clermont! Discover how to achieve optimum results without spending your whole day on the computer! It’s time to leverage social media for your small business. Learn to improve the relationships you make online and connect with customers in new ways. Join us for a morning of hands-on workshops and informative sessions, learn great tips and tricks, and leave with the skills that you need to make an impact with consumers online! Social Summit Clermont will include a light breakfast and engaging speakers in a fun active learning environment.